I’ve been sounding on a theme for a while about how I believe laptop computers are displacing desktops for the majority of personal (and business) applications. My view is that desktops will eventually be relegated solely to the workstation, server, and the high-end gamer markets, with some variation of laptops or “thin” desktops based on a laptop platform accounting for everything else. The key to this is using USB hubs and bluetooth to externalize the major computing components, including external graphics cards, storage, DVD. audio hubs, etc. When wireless USB goes mainstream this process will be even more accelerated. When going mobile however, you leave all that behind and run off the integrated graphics, sound, etc in a minimalist, lightweight configuration. Hence one box gives you the best of both worlds. uses high-quality digital to analog convertors for crisp and clear music, games and movies. Gamers will like the fact that it supports EAX and DirectSound HW acceleration for gaming in Windows Vista and XP. A headphone amplifier is built-in and other system specs include 96dB SNR and a frequency response of 20~20KHz at 32 ohms. ASUS claims the device can convert stereo audio to 5.1 virtual surround sound to give gamers positional audio cues. This sort of thing has been claimed before, but is rarely pulled off well. An array microphone is bundled with the Xonar U1 and those wanting real surround sound will appreciate the SPDIF output with Dolby Digital Encoding. acts as a DVR tuner in order to record high-definition, digital, and analog content. Users can then use ATI’s Catalyst Media Center software to record television shows “for viewing on portable media devices such as the Apple iPhone, iPod, Microsoft Zune, Palm Treo, and Sony PSP,” an AMD spokesperson told Ars. 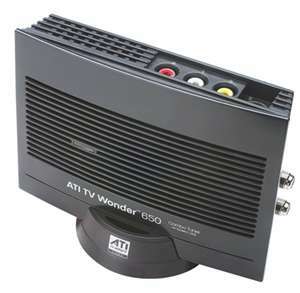 Features include support for Windows XP and Vista, as well as inputs for analog TV, FM radio, S-video, ATSC or ClearQAM F-type Coax for HDTV, stereo, and composite video. So, now video editing and media center functionality can be added to the home station. Of course, that requires more storage, so it’s also worth mentioning that recent advances in hard drive technology – for which a Nobel Prize was recently awarded – mean we will be looking at 1TB hard drives for laptops in the very near future. The intriguing thing is that the trend is already in full swing; notebooks are already outselling desktops and have been for some time. I think that the change ahead is in how people use their computers, not what type they buy. It’s still very hard to predict what the typical consumer’s computing model will look like in 5 years’ time, especially with WiMax on the horizon. The ability to reconfigure your computing space, coupled with immediate and universal broadband access, is going to lead to a flexibility that we’ve simply never had before.